This is a set of two Pro-Line Pre-Mounted 30 Series Sand Paw 2.8 tires, pre-mounted on Black F-11 wheels. 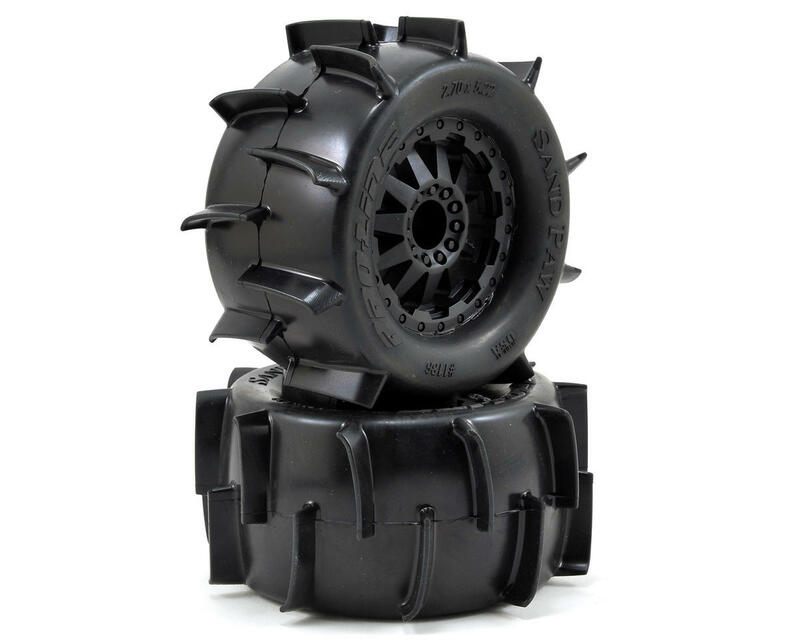 These pre-mounts are intended for use on the rear of the Traxxas Jato, Nitro Stampede and Nitro Rustler trucks, as well as the front of the electric Stampede, Rustler and the front and rear on Stampede 4x4 trucks. Making your truck the toughest looking one on the block has never been easier with the Sand Paw Tires pre-mounted to the F-11 wheels. Get ready to have some serious fun playing in the Sand and Snow! There is nothing like the rush of ripping through the sand dunes or shredding the fresh powdery snow with your truck. Other tires will just slip around in the sand and snow but the Sand Paw tires will grip, rip and roost! 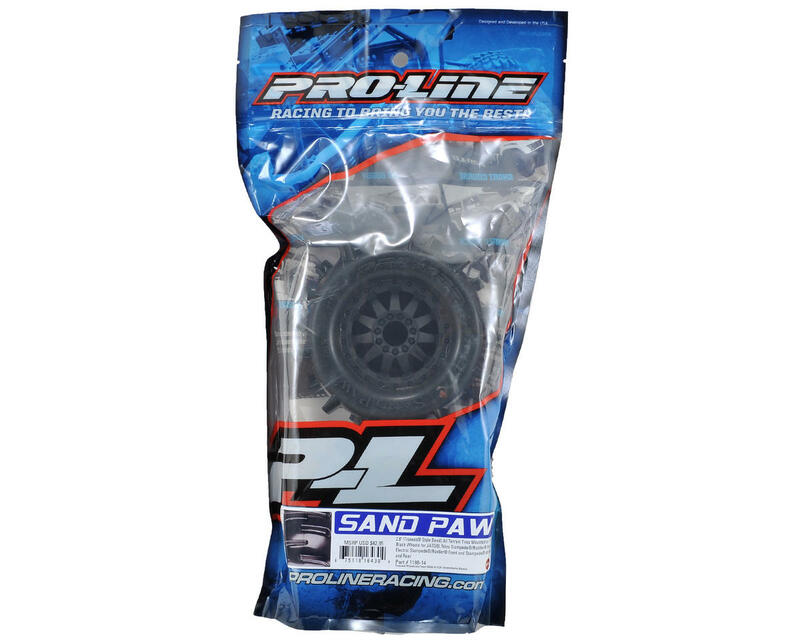 If you have ever wanted to make your truck fully capable in the sand or snow, Pro-Line once again has you covered with the pre-mounted Sand Paw 2.8” tires!